Be present for all your winter activities with this In the Moment Sparkly Beaded Knit Infinity Scarf. 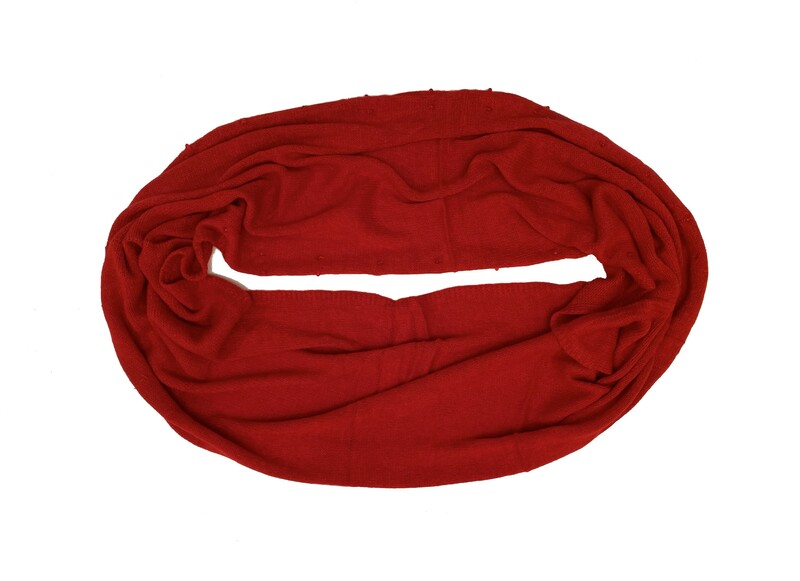 This soft knit scarf features a looped infinity design. With circular faceted beads that sparkle in the light, this scarf will add a fashionable dose to everything you do this winter. The beads add a bit of glimmer and added detail for an unforgettable look. This versatile scarf can be dressed up or down and there are many ways to wear it. Wrap it once or twice around your neck, wear it as a shrug, or hood for multiple styling options. Add some warmth while looking chic and fashion forward. This scarf is the ultimate accessory for cold weather outings, to look fashionable this winter, or to take in special moments this winter. This infinity scarf is made from 100% Acrylic. It measures approximately 60 inches (152 cm) total loop length by 15 inches (38 cm) wide. It is available in fun and neutral colors to accessorize with.